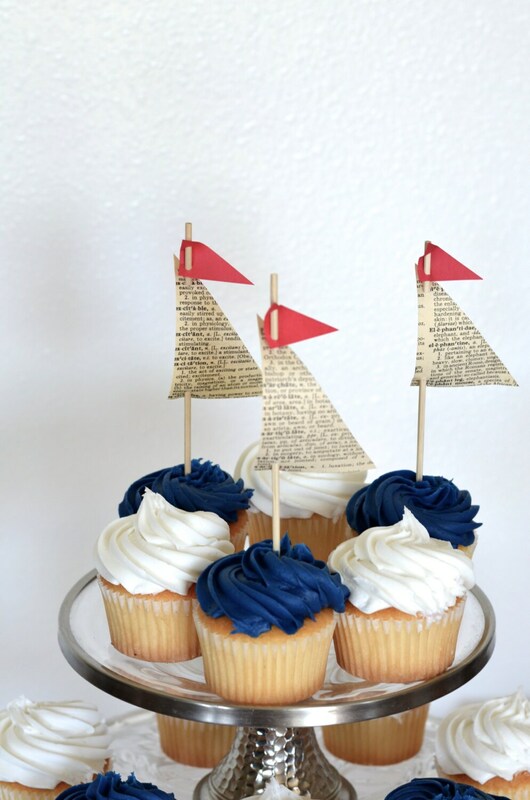 Vintage Book Paper Sailboat Cupcake Toppers. 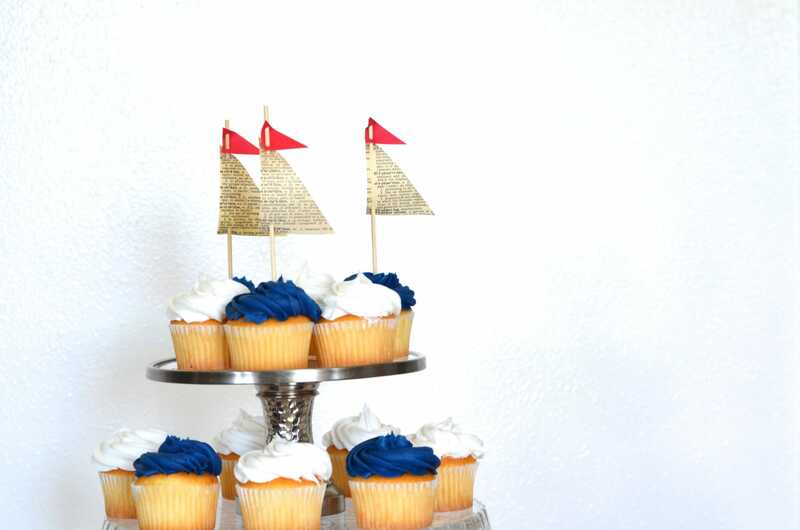 Perfect for birthdays, wedding, cruise parties and more. Customize the top sail color. 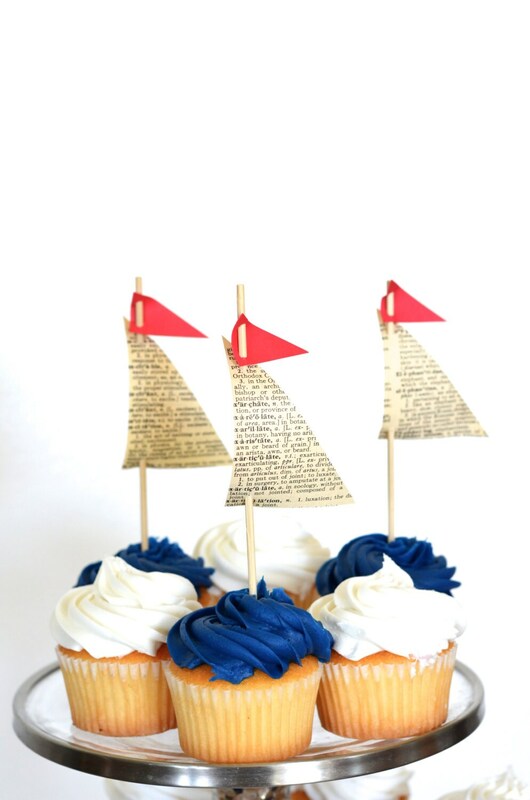 Come sail away with these charming handmade sailboat toppers - each topped with a tiny little red flag! 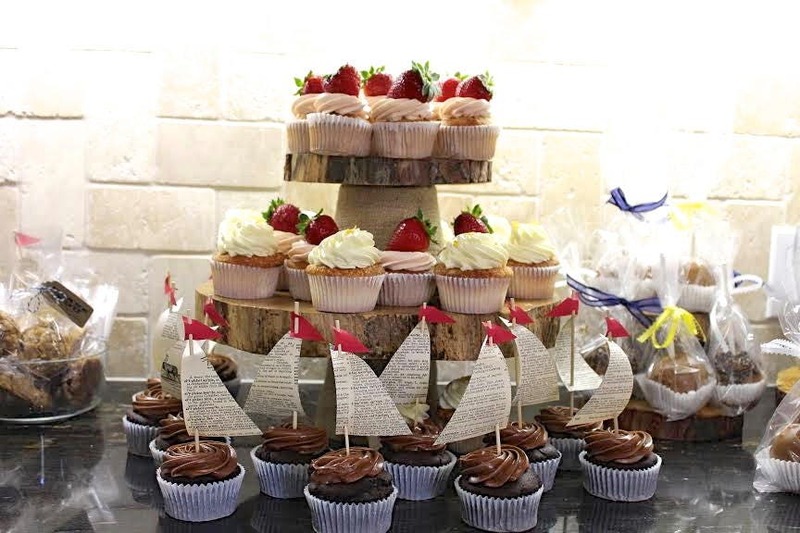 We make each sail topper from vintage book paper, cardstock and a 6" bamboo pick, making them a delightful way to turn your cupcakes into mini sailboats, so cute and definitely a show stopper! 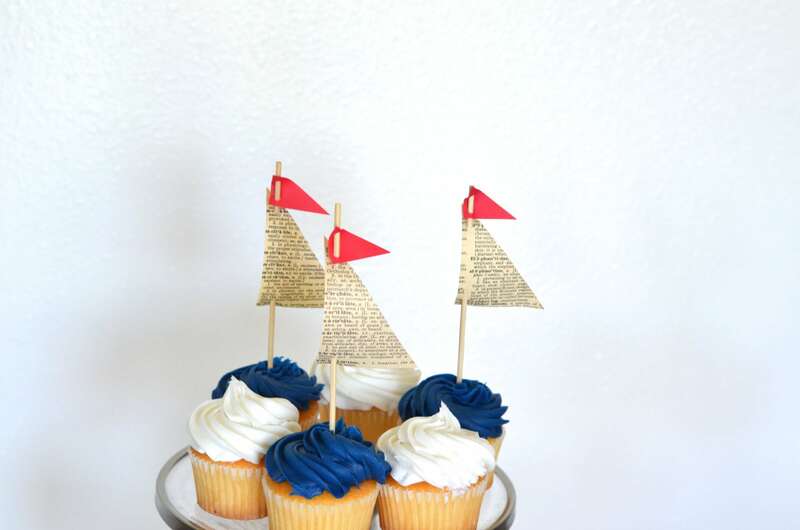 These cupcake toppers were perfect for my son’s 1st Birthday party! 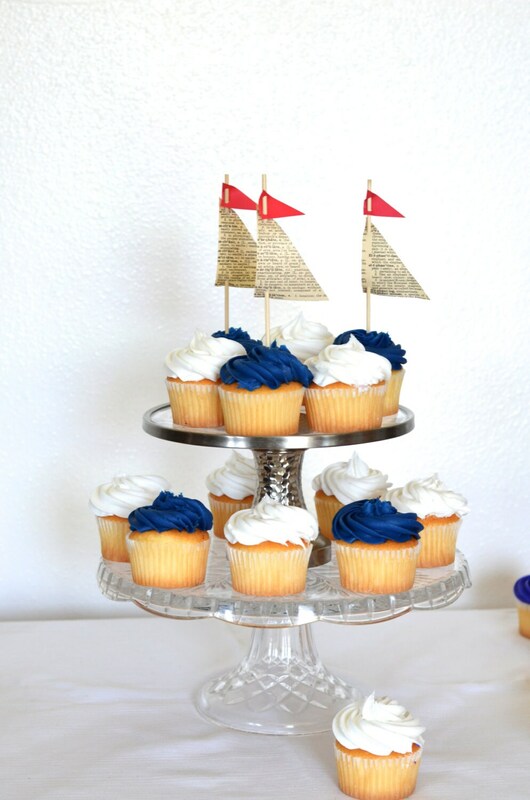 I was going for a subtle ocean theme, and these were such a nice touch. Many people complimented them and asked me where I got them. Love! !